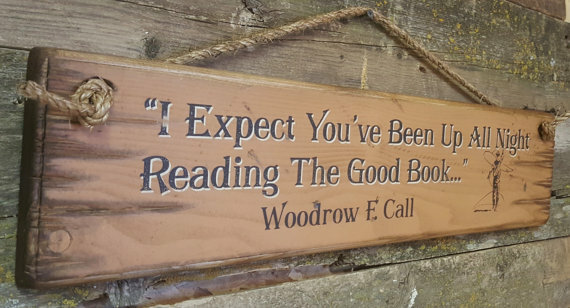 "I Expect You've Been Up All Night Reading The Good Book," Woodrow F. Call. Call states this one morning when Gus is up reading his Bible and baking biscuits in his dutch oven. 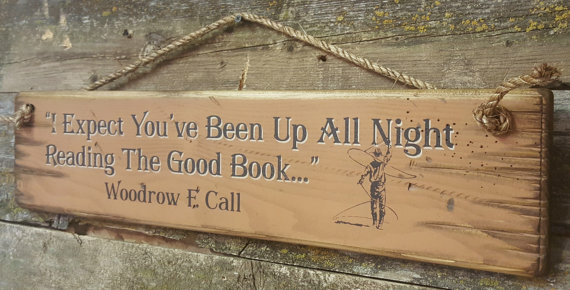 This tan background sign measures 5.5x24 and comes with the grass rope hanger for easy hanging. Handcrafted with pride!